Yering Station Art Gallery is showing ‘High Blue / Middle Orange’, an exhibition of paintings by Warburton artist Steve Freestone, until Monday 8 April. 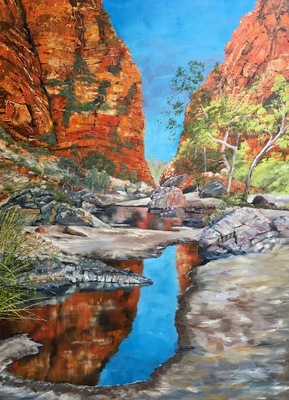 High Blue / Middle Orange: the West MacDonnell Ranges and the Centre is the third exhibition in a tetralogy that began with Flinders Ranges, Kakadu and Kimberley and will conclude with Karijini Gorges and Kalbarri in the years ahead. Dr Ewen Jarvis, curator at Yering Gallery, said that Freestone’s work is influenced by the manifestos and colour theories used by mid-20th century abstract expressionists Richard Diebenkorn and Hans Hofmann. “While Diebenkorn employed colour to draw viewers toward the horizon, Hans Hofmann painted internally generated light that appears to emerge from within the image itself,” he said. Steve Freestone said that his work is primarily about process, it’s about drawing, observation, colour, brush strokes, the use of form and observation and is driven by a strong spiritual connection with the landscape. “The Northern Territory and Kimberley areas of Australia are some of, if not, the oldest land on earth. 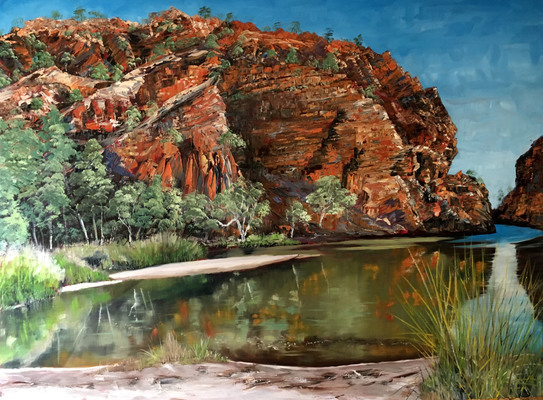 Anyone who has visited the gorges, rivers and deserts of our North would understand the magnificent vistas, colours and emotional relationship with our land. 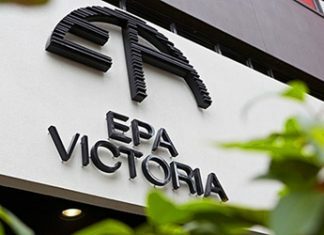 After graduating with a Bachelor of Fine Arts, Freestone held an art teaching position at Upper Yarra Secondary College and then taught in the Fine Arts Department of Yarra Valley Grammar. He is now a full time artist and works out of his studio in Warburton in the Upper Yarra Valley.